You need a spare parts provider that can be a partner in your business. One that can provide OEM quality parts at a competitive price, all while meeting critical availability requirements. Mining Resource Solutions is here for you. 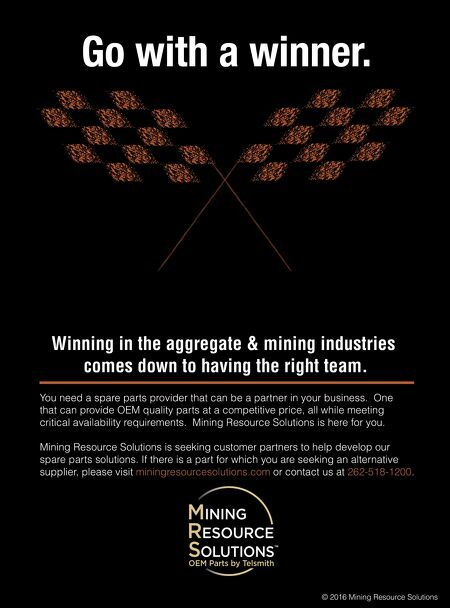 Mining Resource Solutions is seeking customer partners to help develop our spare parts solutions. 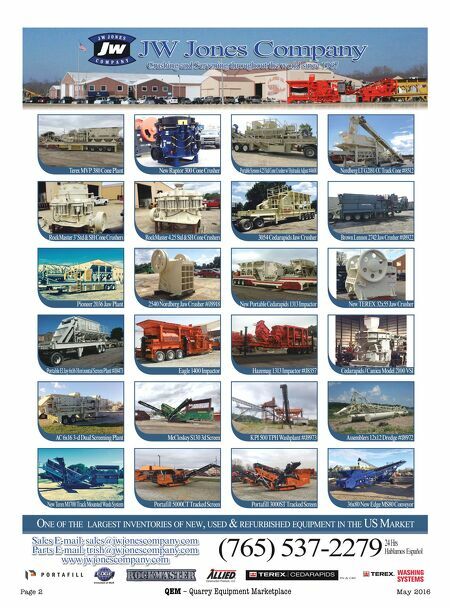 If there is a part for which you are seeking an alternative supplier, please visit miningresourcesolutions.com or contact us at 262-518-1200. © 2016 Mining Resource Solutions Go with a winner. Winning in the aggregate & mining industries comes down to having the right team.